Do these come in a box, in packs of 25? These come in a box, packaged in 4 packs of 50. 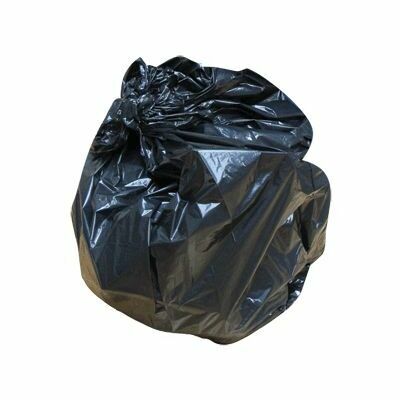 Suited to all manner of professional environments, these Heavy Duty Black Sacks are the ideal refuse solution. Boasting a large capacity of up to 90 litres, the heavy duty and strong sack design has been constructed from 40 micron LDPE/HDPE mix. Perfect for both the disposal of general waste or heavy duty items such as gardening waste, these large sacks can be used on their own or alongside your chosen bin. Being recycled in their design, these black sacks are also an environmentally sound choice for businesses looking to reduce their footprint on this earth.